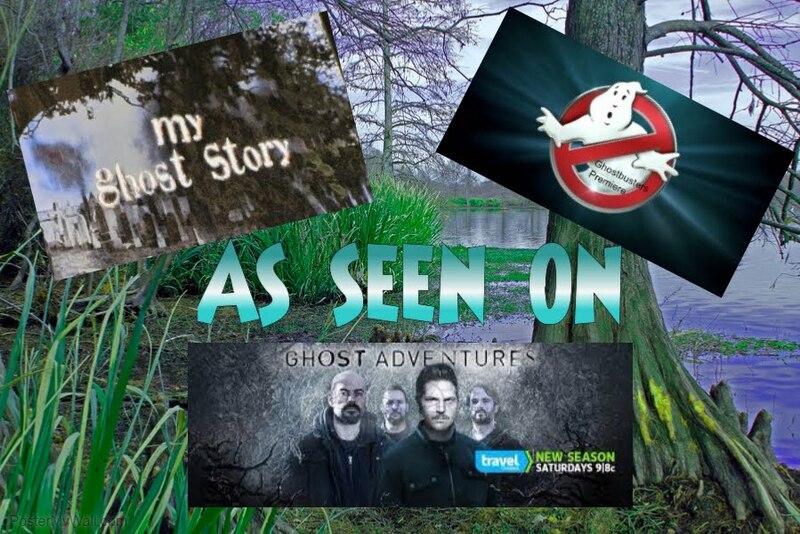 Becky Vickers(BECKS) - Everyday Ghost Hunters/Goatman's Bridge Ghost Tours: ROBERT THE DOLL-DON'T TEST HIS RULES AND NOT ASK PERMISSION TO TAKE HIS PICTURE!!!!!!!!!!!!!!!! ROBERT THE DOLL-DON'T TEST HIS RULES AND NOT ASK PERMISSION TO TAKE HIS PICTURE!!!!!!!!!!!!!!!! Standing 40.25 inches, wearing a faded white sailor jacket with light blue and bright red markings, black eyes like endless black tunnels, and an almost expressionless face. His blonde and brown hair barely visible from underneath the little sailor hat that Robert wears so proudly. His face is like no other I have ever seen. His face made of tattered cloth that hides SOMETHING......SOMETHING.......... VERY AWARE that you're there!!!! 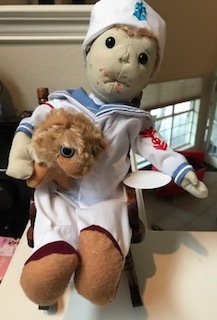 Seemly innocent, Robert sits quietly on a rocking chair with the most unlikely friend......a small stuffed lion that sits on Robert's lap watching your every move.....as if to warn........."NOT TO CLOSE"!!!!!!! Robert sits quietly in a room alone with nothing but an old hearse to look at directly in front of him. Encased by walls of very thick glass, with dim spotlights shinning down on him causing reflections of himself from every angle. The walls are lined with letters from visitors that are BEGGING for Robert's forgiveness and ask that he PLEASE lift any curse or negative energy he may have bestowed on them. Can this doll they call Robert REALLY have such power? Can he really place curses on visitors for simply not asking permission to take his photo??? Do you tempt fate??? Take his picture without asking and not saying "thank you"????? BEFORE you say this isn't real.....and you'll do whatever you like...............take a moment...........read the letters on the wall that surround this mysterious, one-of-a-kind doll. If not, I may be reading your letter..... NEXT!!!!!!!!!!!!!!!!!!!!!!!! So how does such an innocent, unseemly doll get to be known as one of the MOST HAUNTED DOLLS IN THE WORLD???? There are a couple stories as to how Robert came to belong to Robert Gene Otto. First, let me just clear this up, Robert Gene Otto GAVE the doll his first name...Robert and then he started going by his middle name Gene. Story 1- One of the Otto's Bahamian servant's that practiced black magic and voodoo felt that they were being mistreated by the family and gave a "cursed doll" to young Robert to get even with them. Story 2-Which probably is closest to the truth, was that Robert's grandfather gave the doll to him as a birthday gift after a trip to Germany. Now both stories seem to have some "truth" and facts that seem to support both, but I think probably Story 2 has the most historical records to back up this claim. Growing up Gene would talk to Robert as if he were a real person. Often, when Gene would get in trouble, he would say "I didn't do it, Robert did it!". His sister recalls Gene waking up several times in the middle of the night, screaming in fear...and when Gene's parents would enter the room...it would be torn apart....like furniture turned upside down and the doll would be on top of Gene and Gene would be screaming "he's choking me...he's choking me"!!!!!!!!!!!! Many of Gene's friends would describe Gene and Robert's relationship...at best "an unhealthy relationship." Gene went on to become a well known artist in Key West and eventually married a delightful woman who would not be "to fond" of Robert. When she and Gene returned home to Key W est after traveling on behalf of both of their careers, she and Gene would settle in the family home that had been handed down to Gene.......one little problem...... she learned that Gene had a special room built JUST FOR ROBERT in the attic complete with children's furniture for Robert. He had saved several of his childhood cloths just for Robert. This was a problem for his wife but she just accepted as part of "Gene's past". 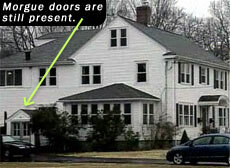 Otto died in 1974 and the house was purchased by Myrtle Reuter which would become Robert's caretaker for the next 20 years. She claimed that Robert's face would change if someone came in the home and badmouthed Otto. She said he would move around on his own. She would constantly hear laughter and footsteps coming from the upstairs attic where Robert would stay. After 20 years, she donated Robert to the East Martello Museum. After Robert's arrival, of course, the museum started reporting unusual activity with Robert moving on his own. The museum reports 3-4 letters a day to Robert asking for his forgiveness and to remove any curses he may have placed on them. The museum states that if you are going to take a picture of Robert you must ask his permission first and say thank you when finished. Now, I took tons of pictures of Robert and video to. Do you think I asked permission????? I can tell you this, I have heard about Robert the Doll for most of my adult life and have always wondered about him, but when we went on a cruise to Key West last month for my boyfriends birthday.....there was only ONE THING I WANTED TO DO......yep...you guessed it....SEE ROBERT!!!!!!!!!!! Now, after seeing Robert here is my most honest opinion I can give. I am completely infatuated with him! There is something soooo creepy about him.....but at the same time sooooo mesmerizing that you can't help but stare and want to be a part of his world. So, I could NOT stand it any longer.....I HAD TO HAVE ROBERT.....I WANTED TO OWN HIM.................so that is EXACTLY WHAT I DID!!!!!!!!!!!!!!! I bought Robert the Doll!!!!!!!!!!! Ok...This is just a replica of Robert of course. Welcome to the family Robert. Meet your sisters. This is a MUST SEE if you are ever in Key West and don't forget your manners!!!!!!!!!!!!!!!!!!!!!!! !